Some of you may remember the story of Martha Payne, the Argyle schoolgirl who’s school dinner blog hit the headlines after she was banned from posting pictures of the lunchtime slop by Bute Council. At the time I blogged about it, Martha’s blog (NeverSeconds) had reached 300,000 hits. That number is nearly 10 million now and she’s gone on to brilliant things. Her blog was awarded the title of Best Food Blog in the 2012 Observer Food Monthly Awards. In June Mary’s Meals announced that a school kitchen would be built in Malawi and named in honour of Martha after she raised over £100,000 through donations to her site. Martha travelled there for the opening in October. Martha’s efforts have also worked to inspire others – in September a Brazilian schoolgirl developed the concept and created her own Facebook page “Diario de Classe: A Verdade” (“School Diary: TheTruth). The page highlighted negative issues in her local school, including broken water fountains and fans and a basketball court with no ceiling. Just like Martha’s blog word quickly spread and Governors took heed, implementing a series of improvements– all of which were graciously reported on by the youngster. Sadly, it seems the UK government have neither read this blog (the shame!) nor seen the news as it’s reported today that they are scrapping the national survey on the take-up and nutritional content of school meals, considered a significant indicator for wider childhood health and just one of the major victories of Jamie Oliver’s campaign, sigh. It’s not just the obvious health impacts on our children – it’s widely documented that there is an increasing obesity epidemic among our kids – but the benefits to education that a healthy lunch brings to the table needs to be shouted about. With that in mind it’s worth reiterating the points I made in the last blog to show the real benefits healthy eating can have on learning. * Recent research by the School Food Trust shows that school meals are now consistently more nutritious than packed lunches, giving the children who eat them a better foundation for good health. * 92% of children consume more saturated fat than is recommended, 86% too much sugar, 72% too much salt and 96% do not get enough fruit and vegetables. Click here for more. * A poor diet has significant effects on children’s behaviour, concentration and mood. Children with diets lacking in essential vitamins, minerals and essential fatty acids tend to perform worse academically, cannot concentrate and are more aggressive. * A study showed that healthy school meals significantly improved educational outcomes, in particular in English and Science, and led to a 15% reduction in absenteeism due to sickness. Click here for more. 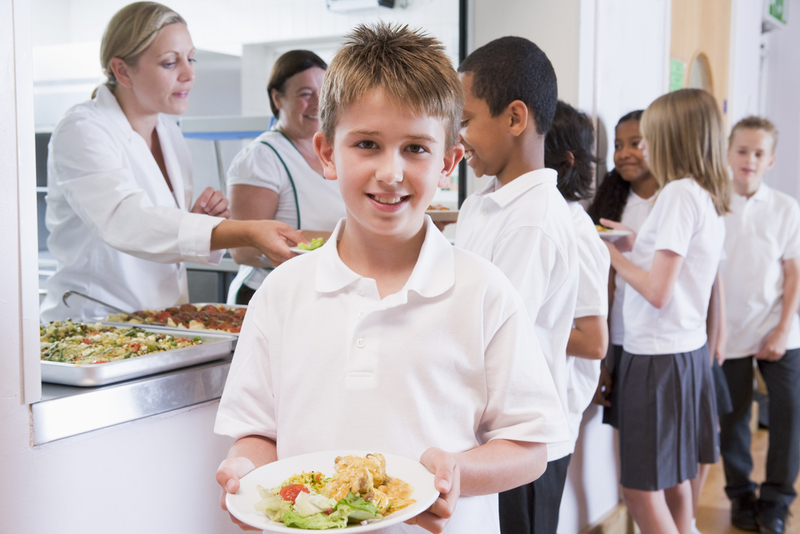 * A School Food Trust study has shown that children in primary schools are 3x more likely to concentrate in the classroom following improvements to the food and dining room. The benefits of a decent balanced diet are becoming increasingly clear, and even outside of school hours a hearty tea will help when it comes to the dreaded after-dinner homework session. Can someone tell the government please? This entry was posted in Homework, Parenting and tagged blog, education, education students, Government, healthy eating, Homework, Kids, Learning, Martha Payne, Michael Gove, Parents, school dinners. Bookmark the permalink.